The UPC RBC27-UPC Precharged Replacement Battery Pack is designed for APC RBC27 UPS Systems and manufactured to OEM specifications for uninterrupted power during power outages and other disruptions to the main power supply. This unit is an emergency power supply for computers, data centers, telecommunication devices and other electrical equipment, preventing the loss of data and productivity. Maintenance-free lead-acid battery is sealed and leak-proof with suspended electrolyte and battery is pre-charged so it can be used immediately after purchase. This model comes complete with all required connectors, cable, fuses and metal enclosures with no assembly required. "Plug and Play" and "Hot Swappable" are compatible to simplify installation. 864 Amp Hour Capacity has an expected battery life of 3-5-years. Made in America. Compatible with UPS Models: SU2200RMXLI3U, SU3000RMXL3U, SU3000RMXLI3U, (2) SU48R3XLBP, (2) SU48RMXLBP3U, SU2200RMXL3U. Enclosed battery cartridge. Operating Environment: 32-104 degree F (0 - 40 deg. C). Storage Temperature: 5-113 degree F (-15 - 45 deg. C). Operating Elevation: 0-10000 Feet (0-3000 Meters). The UPC RBC27-UPC Precharged Replacement Battery Pack comes with a 2-year limited warranty that protects against defects in materials and workmanship. UPC guarantees that prior to installation or use, the battery's state of charge has been maintained at a level equal to or greater than the minimum level considered necessary under industry standards. 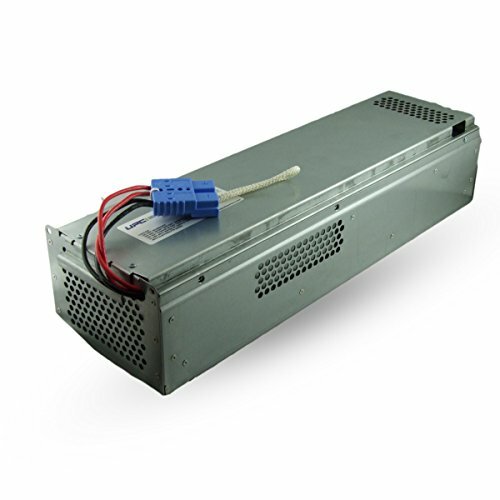 For more than 10-years, UPC has been a supplier of replacement UPS batteries for many of the branded battery companies in the United States and Canadian IT markets. Includes all required connectors, Battery recycling guide, installation guide, and reusable packaging. Buy only Genuine UPC Products! Products manufactured by UPC says "Ships from and sold by Amazon.com" or "Ships from and sold by UPC" only! If you have any questions about this product by UPC, contact us by completing and submitting the form below. If you are looking for a specif part number, please include it with your message.